Stating that only about 20 per cent of India's 1.5 million engineers are employable by the industry, Union Minister Anantkumar Hegde on Friday called "unemployability" as the biggest challenge that could restrict India's growth. 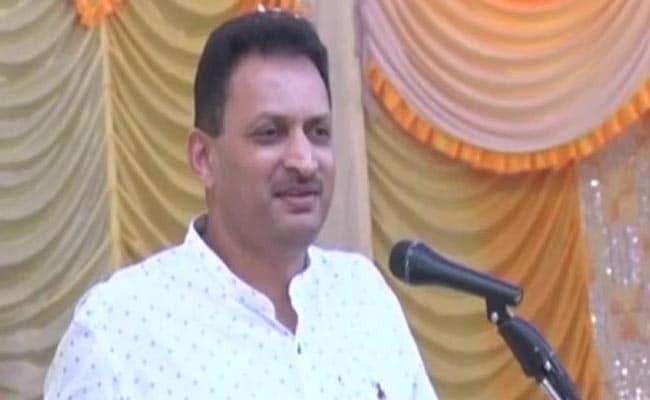 Bengaluru: Stating that only about 20 per cent of India's 1.5 million engineers are employable by the industry, Union Minister Anantkumar Hegde on Friday called "unemployability" as the biggest challenge that could restrict India's growth. "Only 7 per cent of the Indian engineers are capable of handling core engineering tasks... This is the biggest challenge and could limit the growth that India is aiming to achieve," the Union Minister of State for Skill Development and Entrepreneurship said. Hedge was speaking at the foundation stone laying event for the Centre of Excellence for Aerospace Design Training in Bengaluru. "Aerospace and aviation is a budding industry in India and the country is gradually realising the potential and extent of it," he said. The aerospace design training centre, to be set up by a German multinational company P3 Engineering and Consulting, along with the National Skill Development Corporation, expects to train over 10,000 engineering graduates over seven years once it is ready. The $5-million centre would train techies over topics like aero-structures, avionics, aerodynamics, etc. In order to address the shortage of skills in the country, each state would soon have an Indian Institute of Skills, the Minister said. "The way we have Indian Institutes of Management (IIMs) and Indian Institutes of Technology (IITs), we will soon have Indian Institutes of Skills to meet the skill requirements of our nation," Mr Hedge said. Addressing a seminar earlier in the day on "Aerospace and Aviation Industry: Skill Development Needs, Challenges, Opportunities, Road Map and Way Forward" here in the city, Mr Hegde said in order to develop technologies of international standards, there would be India International Skill Centres in the country soon. Hedge, who was late by over two hours for his own ministry's event, delivered his speech in Hindi saying he would speak only in the "national language" and not "overseas language English". "A new Union Public Service Commission cadre, Indian Skill Development Service (ISDS), will be introduced soon. The USPC has already given its nod to it," the Minister mentioned. Mumbai is to soon have its Indian Institute of Skills in partnership with the Tata Group. In December 2016, Prime Minister Narendra Modi had unveiled the first Indian Institute of Skills in the country in Kanpur, Uttar Pradesh. "India will also have more Indian Institutes of Skill Development (IISDs) to offer courses through public-private partnerships," said Mr Hegde. "Over the last three months, we have opened seven IISDs. The Indian government will only set up a regulatory mechanism for these institutions and the industry will run them," he said. Currently, there are a total of 12 IISDs in the country in Himachal Pradesh, Haryana, Rajasthan and Punjab.